Event: Music in the Museum: 50,000 Notes Presto, Encore! 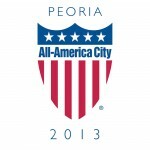 Location: Grand Lobby · Peoria Riverfront Museum · 222 S.W. Washington St. · Peoria, Ill.
PEORIA, Ill. – One of the world’s foremost piccolo virtuosos, Jean-Louis Beaumadier, will return to Peoria for “Music at the Museum: 50,000 Notes Presto, Encore!” at the Peoria Riverfront Museum, April 14, 6:30 p.m. (doors open at 6 p.m.). Beaumadier will be accompanied by his wife, pianist Véronique Poltz. The concert features a special appearance by flutist Kyle Dzapo. It will be followed by a reception with champagne and desserts, offering the audience a chance to meet the performers. "50,000 Notes Presto” is a delightful and dazzling program of light-hearted works,” said Dzapo, “I'm thrilled to collaborate with Jean-Louis and Vero and to enjoy their vibrant and entertaining program." Véronique Poltz is professor of Composition and Orchestration, and a coordinator of the Musical Creations department at the Conservatory of Marseille. Poltz began the piano at age 6 at the Conservatory of Aubervilliers, where she obtained three first prizes: in piano, accompaniment and chamber music. In 1982, she received the medal of the Ministry of Culture. Poltz pursued her studies at the Higher National Conservatory for Music of Paris in the classes of specialized music theory and writing (harmony, counterpoint, fugue, instrumentation and orchestration), where she was awarded a first place medal and three first prizes. She perfected studies in piano at the music teachers’ training college A.Cortot, Paris, and obtained a first prize in accompaniment, at the city of Paris. Poltz has composed works for solo instrument (piano, cello) as well as numerous duets for various instrument and piano, piano 4 hands, harp, as well as works for symphony orchestra.